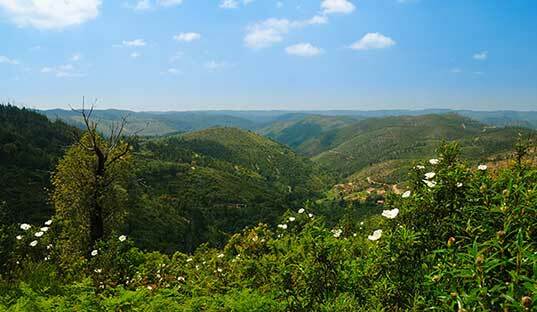 Six sections of the Via Algarviana, the long distance trail, 240 km., through the countryside of the Algarve, starting at the Spanish-Portugese border and ending at Cape Saint Vincent, in Vila do Bispo, south-west Portugal. We started - this time - our route at Barranco do Velho. And walked to Marmelete. After that a walk along the south coast (day 7). Getting there: a flight to Faro airport, and from the airport a taxi to Barranco do Velho ( €35 in 2014). Maps: the six sections we walked are well marked (GR system, white-red). You can download a guide book with information about the trail (click here), including maps of all the 14 sections. 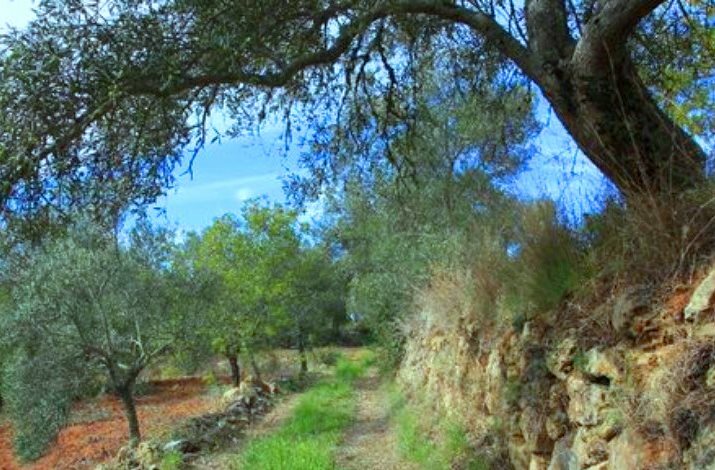 Accommodation: the trail is adopted by Almargem, a non profit organization, among other things aiming to maintain the natural, cultural and historical heritage of the Algarve (At the coast mass tourism already poisoned a lot). Almargem can help you in making the reservations for the accommodation (hotels, guesthouses, B&B’s). 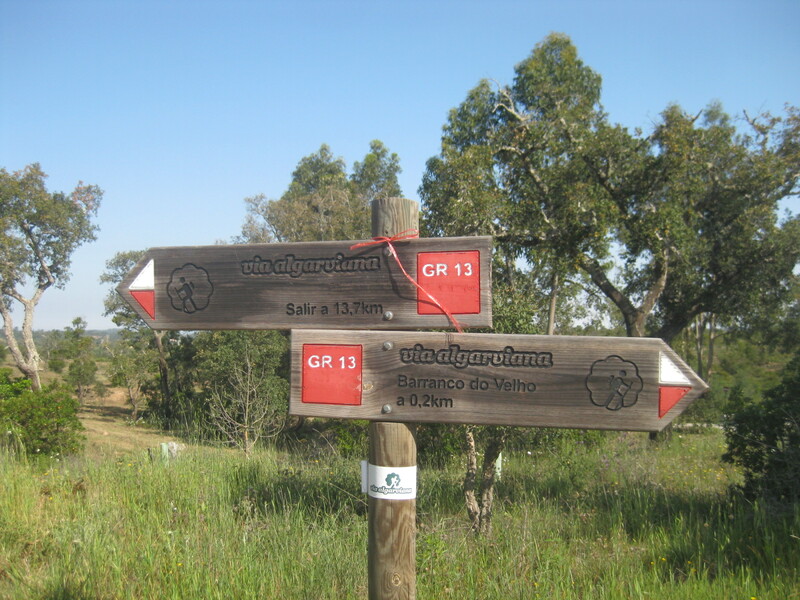 April 2014: five sections of the Via Algarviana, 15-29 km. a day. Height on trail: until 820 m. The trails follows old path between the villages. Day 1: Barranco do Velho - Salir 14,9 km. Day 2: Salir - Alte 16,2 km. Day 3: Alte - Messines 19,3 km. Day 4: Messines - Silves 27,6 km. Day 5: Silves - Monchique 26,2 km. Day 6: Monchique - Marmelete 14.7 km. 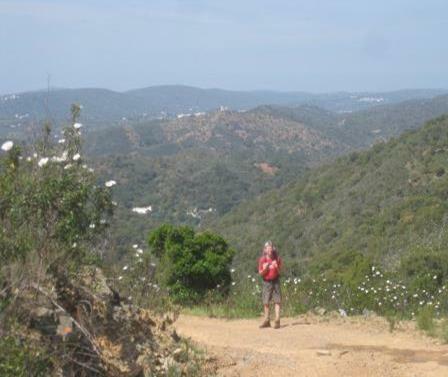 On trail: the different, original Algarve, with her partially abandoned villages, the original architecture (water wheels, fountains, ovens), walled almond- and olive groves, cork oaks, the great panorama’s from the hilltops, in spring time - while tolerable temperatures - rich flowering nature, such as the rockrose ( Cistus). After heavy showers we advise the walker to be informed by the local people about the water level of the rivers. 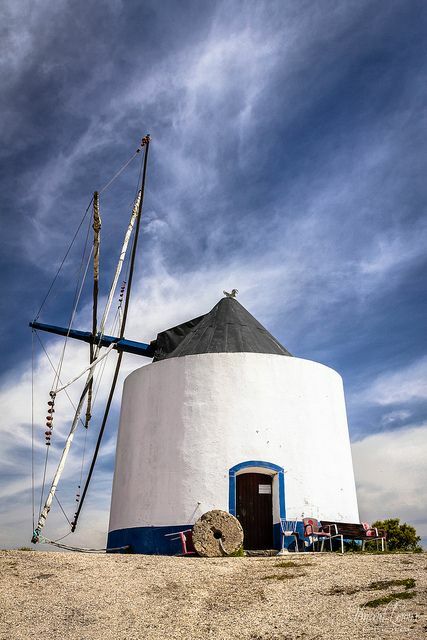 The city of Silves was in Moorish hands until the 13th century. The witnesses of this period are still present. Above the city you can see the fortress of Silves - the castelo dos Mouros - from afar. Built between the ninth and twelfth centuries of red sandstone ( Gres de Silves). But inside there is almost nothing to see, unfortunately. Day 5 is rather heavy and requires a good level of fitness. The Serra do Monchique - the aera you walk through - has montain peaks up to 800-900 m. But at the end of the day you can use the famous Jugendstil spa of Caldas de Monchique. Or: in Contes you can ask for a taxi or a private car ( local people) to bring you to Monchique. In that case you'll miss the spa, of course. In Marmelete you will not find an accommodation (2014). We took a taxi, from here, to Portimao, the south coast (40 km). 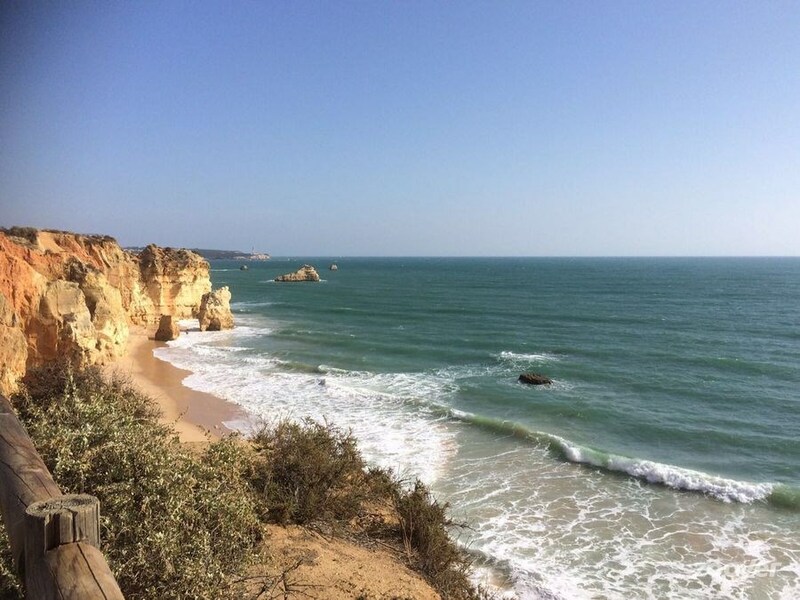 If you have time: make a walk along the coast: Senhora da Rocha to Benagil. From Marmelete is only a short distance to the Rota Vincentina. The GR 13 Via Algarviana ends on Cabo de San Vincente, the most southwesterly extremity of Europe. Click here for part 1 of the Via Algarviana.